From the culinary master, Chef Domenic Chiaromonte, comes a contemporary experience of its Italian heritage. 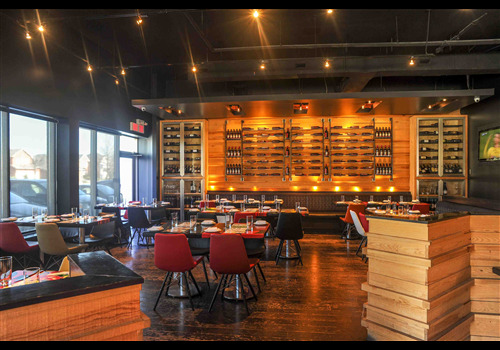 Motorino Enoteca delivers a flavourful journey for your palette with open concept wood-fired oven Neapolitan pizzas, appetizing salads, delicious pasta dishes and savoury meat and seafood entrees, all of which can be paired with a fine vintage from the vast collection. The staff of Motorino invites you to enjoy the daily Chef features, delightful desserts and craft cocktails in an exciting atmosphere that is akin to travelling the winding roads of Italy on your very own Vespa!